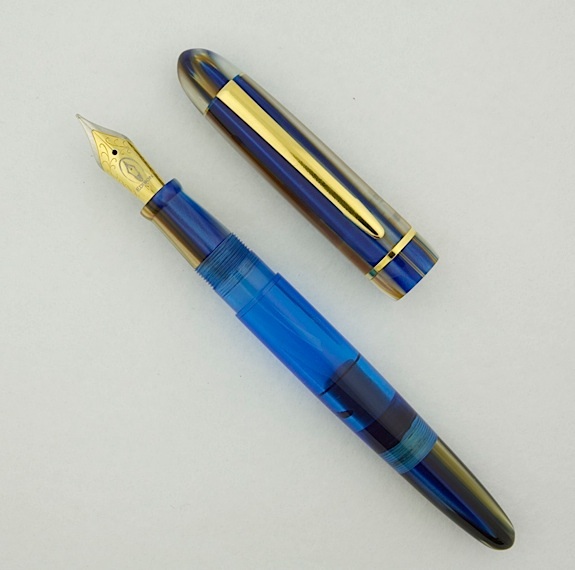 I’ve been following a lot of the terrible events in the Phillipines lately, and I was very moved by a gesture made by Leigh Reyes, who is a fountain pen fanatic, and resident of the Phillipines. First off, Leigh is fine, as is her family and friends, but we can’t say the same for a lot of others in her homeland. I saw Leigh’s blog post this weekend where she is announcing that she is taking some of her nicer pens, and auctioning them to benefit Typhoon Haiyan/Yolanda victims. The proceeds of these auctions will go directly to the Phillipine Red Cross. You can see her blog post with the pens that she is auctioning here. 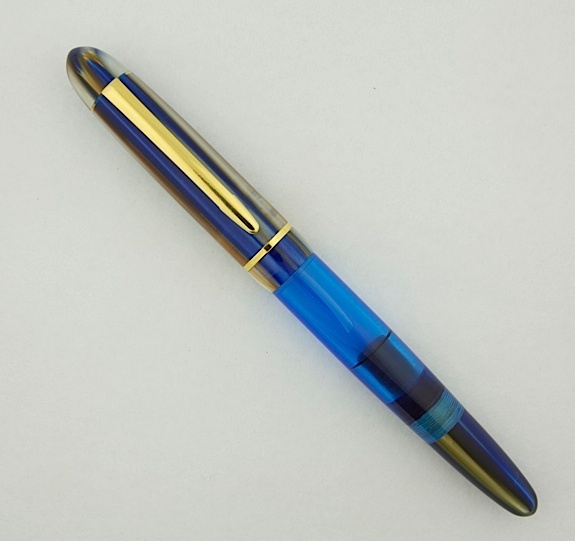 We at Edison decided that participating in this benefit would be a good idea, so we are donating a Menlo Pump Filler in Striated Blue/Gold with a steel nib of the recipient’s choice valued at $350 for Leigh to include in her auction. Pics are below. So please go visit Leigh’s page where the auction is being hosted, and see if there are any pens over there that appeal to you (there really are some nice pens that she’s parting with!). 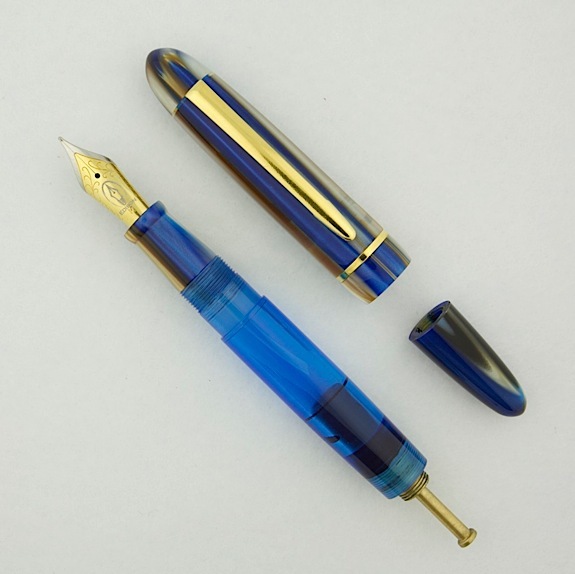 Right now, the Edison Menlo is set at $89 with no reserve! I’ll quote Leigh directly from an email that she sent me earlier this evening… "Today’s headline in the Inquirer says ‘Millions still hungry’ and the Red Cross is in the best position to help." Please consider bidding to benefit the typhoon victims!